In the aftermath of the September 11 attacks, most of the countries in the world passed counterterrorist legislation measures. This chapter provides an updated review on these measures, reintroducing the global counterterrorist legislation database (GCLD), which covers more than 1900 laws in 219 countries and territories between the years 1945 and 2017. This chapter brings descriptive statistics of the data, focusing on the historical development of global counterterrorist legislation, the regional and subregional distribution of this legislation, and the trends in types of legislation. 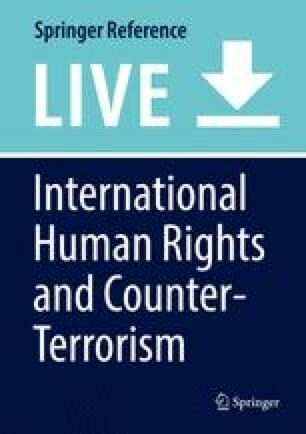 It updates an article previously published in the Journal of Terrorism Research (Shor, J Terror Res 2:49–77, 2011), which first introduced the global counterterrorist legislation database (GCLD).